We wanted to share some exciting news from the BECC. Jessica Gearin our nurse and Katie Roofe our teacher for Lucky Ducks gave birth to girls less than a day apart. 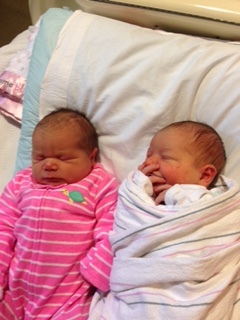 Alexis Gearin and Theresa Roofe are the newest additions to the BECC family and are already best friends as you can see. Congratulations to the Gearin and Roofe families!